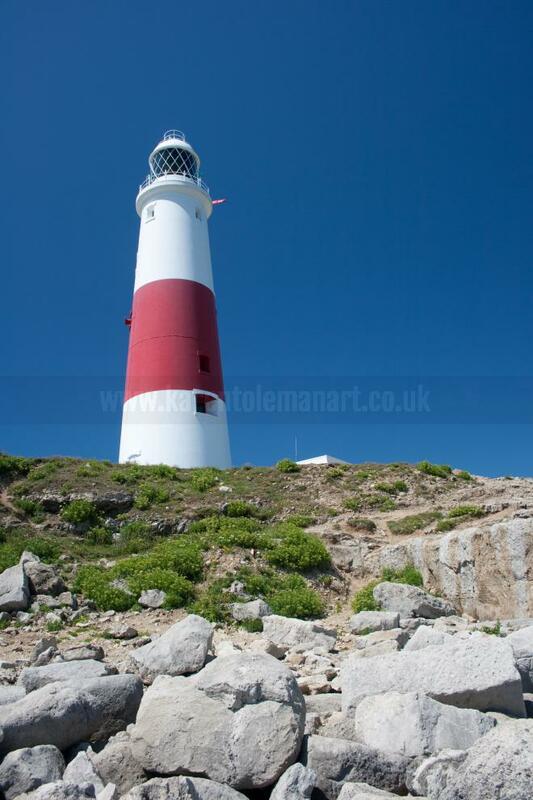 I am a self taught artist, living and working on the Isle of Portland, the southernmost part of Dorset’s famous Jurassic Coast. I paint and draw, mainly in oils and graphite. My works are informed by my innate love of nature and the ever changing light in this beautiful part of the world. 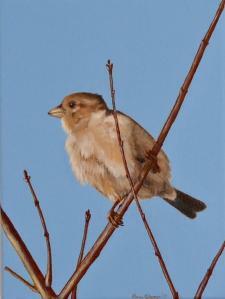 Favourite subjects range from seascapes, landscapes and wildlife to domestic animals and pets. I particularly enjoy capturing the details which make every animal unique, thus bringing out their individual personalities. I welcome commissions and have undertaken them in a variety of subjects including favourite holiday views as well as pets. Examples of these can be viewed on my gallery pages. Click here for further information about commissions, or on Info at the top of this page. Fine art giclee prints and cards of my artworks are often available, details are shown on the individual gallery listings. If you would like to commission your own artwork or have any queries, please do not hesitate to contact me for a chat about your requirements. 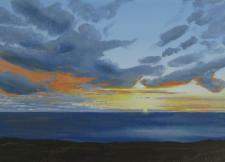 Witnessing this beautiful sunset on the coast road between Abbotsbury and Bridport inspired this painting called Close of Day. 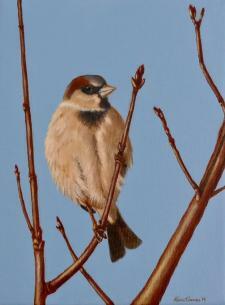 Part of my latest diptych titles Sparrows 2. Part of my latest diptych titled Sparrows 1. 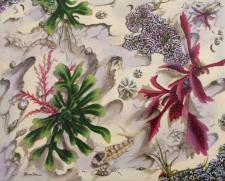 Always fascinated by the creatures living on the shoreline, this painting titled Rockpools 3. features a Tompot blenny. 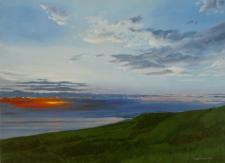 My latest painting inspired by an evening walk on the West Cliff at Portland, Last Light.